Taiwan expressed concern over the Chinese decision to open four new air routes that would pass over the straight that divides the two countries conflicting with existing Taiwanese routes. This is another sign of growing tensions between the two countries, which come after six years of relative reconciliation under Taiwanese President Ma Ying-jeou. China reportedly replied that Taiwan should not be so wary. Taiwanese authorities are protesting political rival China's announcement that it is creating four new civilian air routes that would conflict with Taiwan's own. The complaint against Beijing comes amid growing tensions in overall relations despite a six-year thaw under conciliatory Taiwan President Ma Ying-jeou. China told the United Nations’ International Civil Aviation Organization this week that beginning in March it would open four new flight paths over the ocean strait that divides it from Taiwan. Officials in Taipei have protested since Tuesday [13 January 2015], saying the new paths conflict with its existing flight routes near the main island and two groups of outlying islets. Taiwan Civil Aeronautics Administration Director General Jean Chen told a news conference she expected China to negotiate further with her government. She said when establishing a new flight path, a country needs to negotiate and communicate with neighboring governments. She hopes Taiwan can follow up with continued talks with mainland China about the situation. As it is, she said, Taiwan cannot accept it. The aviation agency fears that one new route will threaten the safety of air traffic near Taipei, while the other three will interfere with flights from Taiwan to the Kinmen and Matsu outlying island chains. 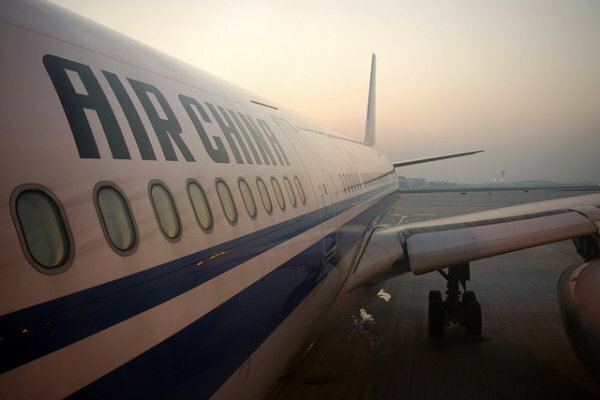 Taiwanese airlines and the air force have indicated no immediate plans to make changes following China’s announcement. Political observers say Taiwan will make more protests like this in 2015 to resist China due to increasingly vocal public resentment. China has claimed sovereignty over self-ruled Taiwan since the Chinese civil war of the 1940s, keeping the strait between them heavily militarized. Since President Ma Ying-jeou took office in Taiwan in 2008, the two sides have eased tensions and opened talks leading to 21 economic agreements. But the ruling Nationalist Party took heat from the public last year for growing too friendly with Beijing and it faces a tough presidential race next year against an opposition that advocates more cautious China relations. Some Taiwanese worry that China will eventually try to use economic links to bring the island under Beijing’s rule. China’s government agency in charge of relations with Taiwan said Wednesday it had already discussed the new flight paths with Taipei. It asked Taiwan to be more understanding and less worried. The Chinese side says the new routes would ease today’s domestic flight congestion between Shanghai and airports in the heavily populated region north of Hong Kong.